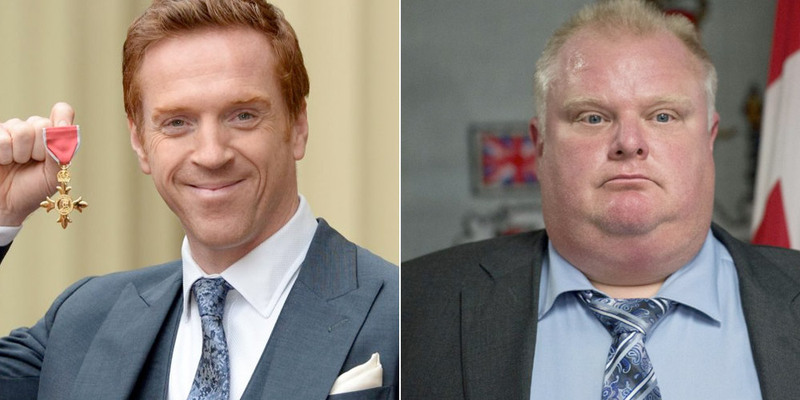 With Chris Farley sadly not an option, the role of late Toronto mayor Rob Ford has gone to the next most obvious choice: Damian Lewis. According to a new interview in Kit Magazine, the Billions and Homeland star will play the drunken, crack-smoking mayor in a drama currently shooting in Ford’s home city. The Hollywood Reporter has confirmed the report, adding, “the film is understood to follow a reporter (Ben Platt) who attempts to expose a scandal involving a politician who doesn’t play by the rules.” Following the lead of fellow faux leader Gary Oldman in The Darkest Hour, Lewis will be buried in a fat suit and prosthetics for the role. Like this guy is too good for drinking ice cream for months then losing all that weight again at a dangerous pace.